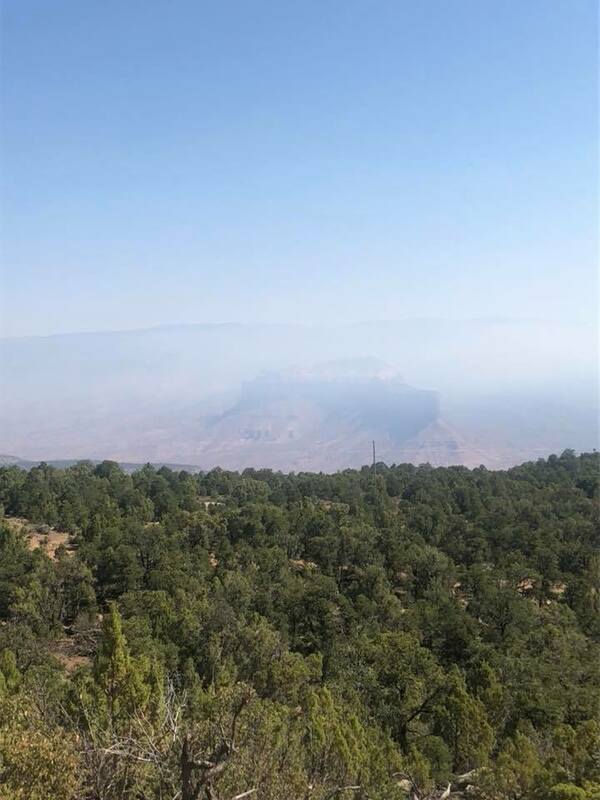 Mesa County Commissioner Rose Pugliese spent Thursday checking on the fires in Mesa County and doing her quarterly road tour. She thanks the BLM, Forest Service, the Sheriff’s Office and our Road and Bridge Department for all they have been doing to manage fires in our area. The Board of Mesa County Commissioners presents the National Health Center proclamation to MarillacHealth Development Specialist Martha Graf, left, and Community Relations & Development Director Kristy Schmidt, center, in public hearing. The Mesa County Commissioners proclaimed Aug. 12-18, 2018, as National Health Center week in the Grand Valley. Mesa County Sheriff's Office employees and their spouses recently participated in the Colorado Special Olympic airplane pull event, in Denver. The MCSO team volunteered their time to participate and won first place. 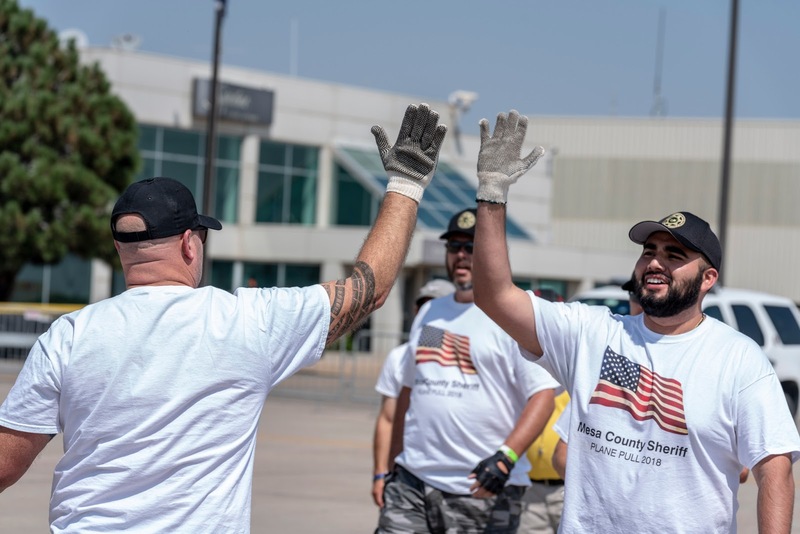 Mesa County Detention Deputies high-five at the Colorado Special Olympics airplane pull event, recently held in Denver to benefit Special Olympics. The Mesa County Sheriff's Office team volunteered their time and placed first in the event. The face of winners! 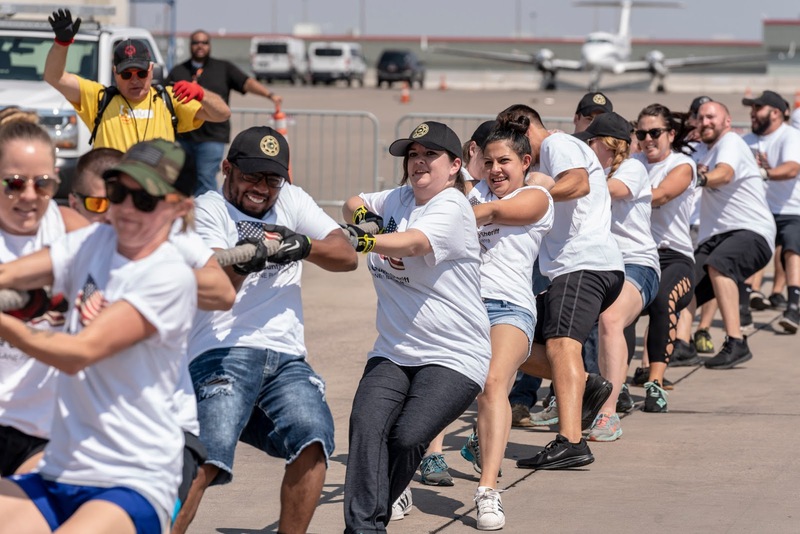 Mesa County Sheriff's Office employees and their spouses took first place in a recent airplane pull, in Denver. 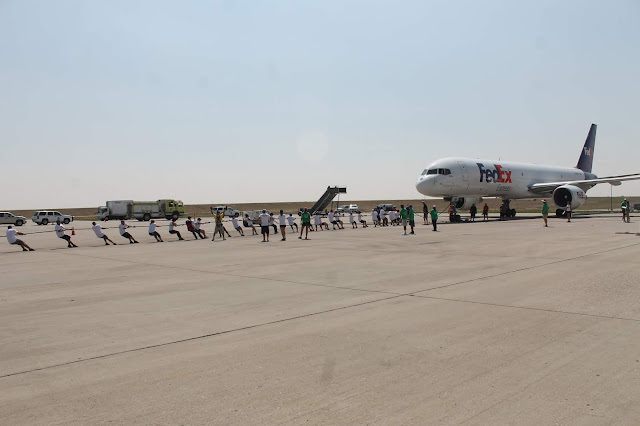 The event benefited Colorado Special Olympics. 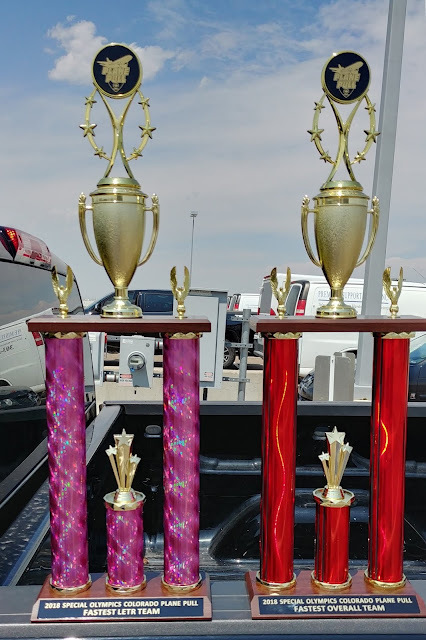 Trophies that will be proudly displayed at the Mesa County Sheriff's Office for their employees and spouses winning first place in the Colorado Special Olympics airplane pull event. Mesa County Chief Building Official, Darrell Bay, assists a county resident at the department's public counter Wednesday morning. Mesa County Motor Vehicle Office has gone live with the new Colorado Driver License, Record, Identification and Vehicle Enterprise Solution (Colorado DRIVES) system. 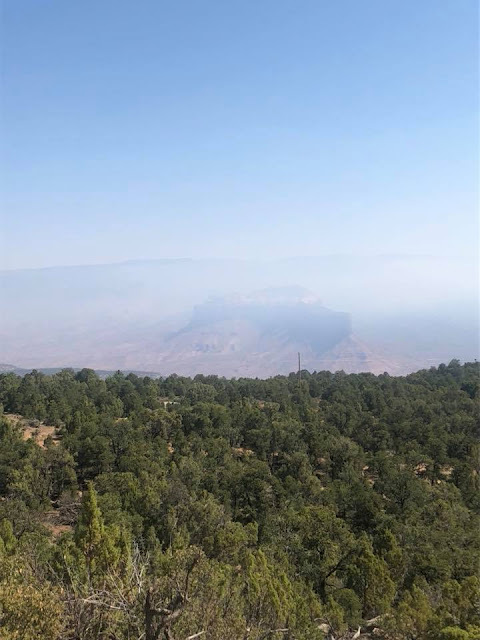 Colorado recently implemented this new system statewide to replace the Colorado State Titling and Registration System (CSTARS), which was initially installed in the '80s. Colorado DRIVES is a new statewide motor vehicle system upgrade that aims to improve customer service with 13 new online service options. Training Specialist, Melissa Herrik, is a Colorado DRIVES system 'subject matter expert' who was assigned to work in Denver with the state officials for the last 18 months to help build the system. Vehicle registration cards have a new look. They now have a barcode for easier record retrieval and processing efficiency. Mesa County Commissioner Scott McInnis led a press conference Thursday, Aug. 9, at 11 a.m., in the Old Mesa County Courthouse, to announce the unified front of Mesa County, City of Grand Junction, Grand Valley Drainage District, City of Fruita and the Town of Palisade in addressing the next steps for a solution concerning stormwater drainage issues across the Grand Valley. Mesa County Commissioner Scott McInnis talks about the importance of a solution that includes all stakeholders and local government bodies to come together and to unite forces in asking the state Legislature to form a new authority and structure to handle stormwater in Mesa County. Grand Junction Chamber of Commerce President & CEO, Diane Schwanke, speaks at the podium during the press conference regarding stormwater drainage and the Grand Valley Drainage District. Grand Junction Councilmember Duncan McArthur, left, speaks to local television media during the press conference. Mesa County Commissioner Scott McInnis, right, is also giving a television interview with local media in the Commissioner's public hearing room. Mesa County employees were celebrated at the Fairgrounds with a lunch, in their honor, hosted by the Mesa County Employee Association. Employees from 5 to 35 years of services were publicly recognized. Mesa County employees enjoy lunch at the recognition luncheon, hosted by MCEA, at the Fairgrounds on Wednesday. Mesa County employees from all departments enjoyed lunch at the recognition event where employees with 5 to 35 years of service were honored. Mesa County Assessor Ken Brownlee and Janell Hutton, a 20-year employee in the Assessor's Office, pose for a photo at the MCEA recognition luncheon. Fairgrounds Manager Donna Redd hands out cookies to Mesa County employees during the MCEA recognition luncheon. The Mesa County Fairgrounds hosted the MCEA employee recognition luncheon on Wednesday. It was a great time to break bread and reconnect with fellow employees. Kevin Holderness, 25 years of service and dedication to the residents of Mesa County holds up a thank you cookie. That must be some strong water to go with that serious conversation, at the recent MCEA employee recognition luncheon, hosted by the Mesa County Fairgrounds. Public Works made an appearance at the MCEA luncheon to be properly thanked for their service to the citizens of Mesa County. Smiles were abound at the MCEA employee recognition luncheon on Wednesday. Dennis Berry, second from the right, celebrated 35 years with Mesa County at the MCEA luncheon. Congratulations, Dennis! Pete Bair, Public Works Director, right, enjoys lunch alongside Mesa County employees at the recent recognition luncheon. Rudy Bevan from Mesa County Road & Bridge and Sheriff Matt Lewis compare blue shirts and sun glasses before sitting down to eat their lunch at the MCEA recognition event. Vitamin D dose to top off their clean plates, for this IT group, at the MCEA recognition luncheon. Commissioner John Justman joined Facilities staff during the MCEA recognition luncheon. This event was a great way for all County employees to mingle. Commissioner Scott McInnis, left, and County Attorney Patrick Coleman, listen intently to a fellow County employee. This was a great event for staff to enjoy each other's company. Mesa County Administrator Frank Whidden, at the podium, proudly recognizes County employees for their hard work and dedication at the annual MCEA recognition luncheon, held Wednesday at the Mesa County Fairgrounds. Frank Whidden, County Administrator, is flanked by the names of tenured employees recognized at this year's MCEA luncheon for their years of service to the citizens of Mesa County. Employees with five years of service to Mesa County citizens. Employees celebrating 10 years of service to Mesa County citizens. Employees with 15 years of service pose with the Mesa County Commissioners. Long time Mesa County employee, Linda Fraiser, gets a hug from Rose Pugliese, County Commissioner. Commissioner John Justman is featured on the left and Commissioner Scott McInnis, is featured on the right. Tracey Garcher, Director of Human Services (second from left) and Janell Hutton, County Assessor's Office (second from right) are honored for 20 years of service to Mesa County citizens. This group photo includes the employees honored for 20 years of service. They stand with the County Commissioners at the MCEA employee recognition event held last Wednesday. Keith Hatch, who calls Collbran his home office, shakes hands with Rudy Bevan with Pete Bair saying a few words at the recent MCEA luncheon. Keith was honored for 25 years of service. Kelly Luellan, IT Department, was honored for his 25 years of service by County Administrator Frank Whidden. Lt. Laurie Galvan and Deputy David Rowe are being recognized by Mesa County Sheriff Matt Lewis, for their 20 years of service with the County. Tracey Garcher, Director of Mesa County Department of Human Services, honors two of the department's 25 years of service employees. The Commissioners are joined by the County employees who were honored and celebrated 25 years of service. Toy Smith, center in black, stands with Commissioners John Justman, Rose Pugliese and Scott McInnis. Toy was honored for 30 years of service with Mesa County. Congratulations, Toy and thank you for your dedication to the citizens of the County. Standing ovation for Dennis Berry, as he heads to the stage for his 35 year recognition as a Mesa County employee. Dennis Berry, Criminal Justice Services, was thanked for his 35 years of work with the County by Commissioners John Justman, Rose Pugliese and Scott McInnis. Dennis Berry has a laugh with Matt Sullivan, who honored Dennis for his 35 years of service to the citizens of Mesa County. Grill winner! Kate Lima, Senior Case Manager at Department of Human Services, guessed correctly the weight of the pellets on the table and took home that beautiful grill.